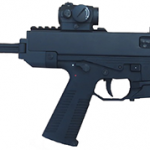 B&T gave us an overview of the APC556 & APC300 series of carbines. 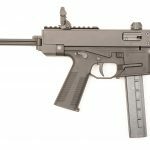 Semi-auto versions will be available from B&T USA. 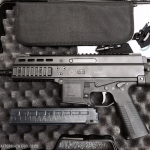 Once the limited B&T P26 has run its course, the ..
Swiss APC9 and APC45 pistols have arrived. 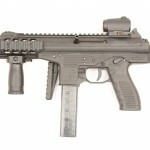 Below are some ..
Any idea when the semi-auto version will be available stateside? How about the SMG version? 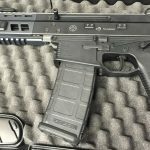 I hear orders are already being taken for B&T USA’s suppressors. It depends on the ATF determinations. Any date would be a guess because you and I can predict that about as well as an importer or manufacturer. Once the ATF approves I would guess about 90 days for the first models. That is my opinion.